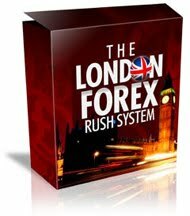 The london forex rush system is a unique automated forex adviser in that it’s more of a signal system than a built-in software program. It also focuses on specialization so that your profits are optimized towards only one market – the London session. This system revolves completely around the first two hours of the London market and so doesn’t take up a lot of your time to earn money. The London Forex Rush System indicator works by monitoring the activities of the Currency Pairs which cross with the British Pound. The theory that’s put to work is that whatever movements the Pair makes when the London market opens would direct its overall direction for the day.